Anyone concerned about how the futures of millions of children are jeopardized because of discipline practices that unfairly exclude students from U.S. public schools will be heartened by this story about how transformative change can happen. 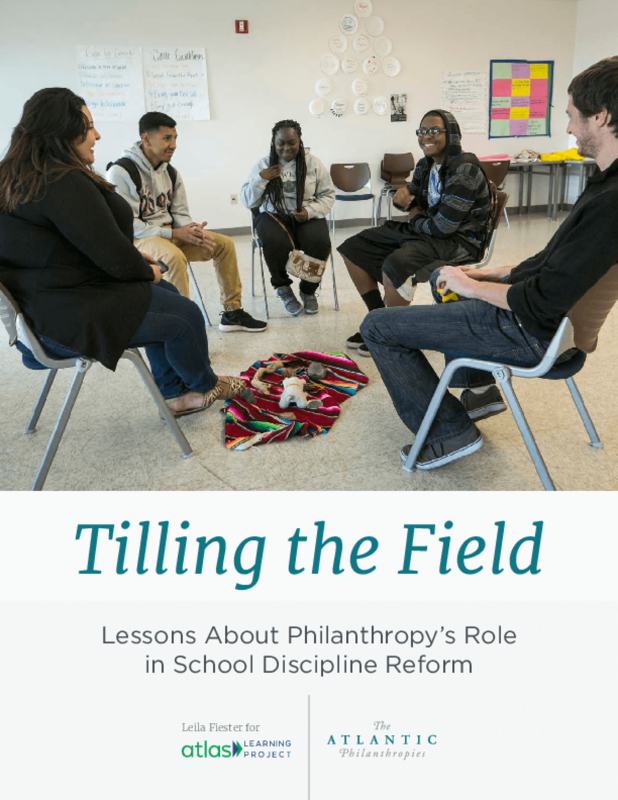 It's a story of how students and parents, civil rights advocates, academics, policymakers and government came together -- with help from philanthropy -- to advance reform. The linchpin was a four-year, $47 million school discipline reform initiative that Atlantic launched in 2010 to promote policies and practices that would keep vulnerable children in school and on track to graduate and go on to college, rather than on the path to prison. For funders -- to inform strategic choices going forward, to anticipate future challenges, and to consider potentially powerful responses. For grantee and government partners -- to celebrate successes as well as to consider options for refining strategies and tactics going forward. For students of movements that protect the vulnerable -- to understand the complex arc of advocacy as shaped by intentional strategies and tactics as well as history and on-the-ground realities. 1. When philanthropy and the public sector work together, a foundation's role should be more than just paying for a government-initiated project. Philanthropic leaders can add value by helping to define a shared goal and develop a structure for ongoing dialogue and decision making. 2. Philanthropy can help create opportunities for policy change through a strategic combination of investments designed to (re)frame the problem, identify and lift up viable policy alternatives, and apply pressure for change. 3. Grassroots organizing by parents and young people can play a major role in advancing changes to local and national educational policy -- and that impact is amplified when grassroots movements receive philanthropic support. Copyright 2015 Atlas Learning Project, The Atlantic Philanthropies.